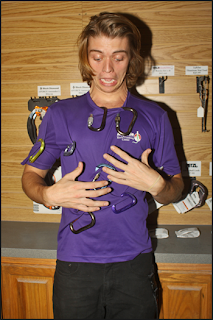 Have you ever looked at a wall loaded with a million varieties of carabiners in awe and confusion? Well this little blurb should sort everything out and hopefully make your next carabiner buying extravaganza a little less stressful. Let's start with the basics. 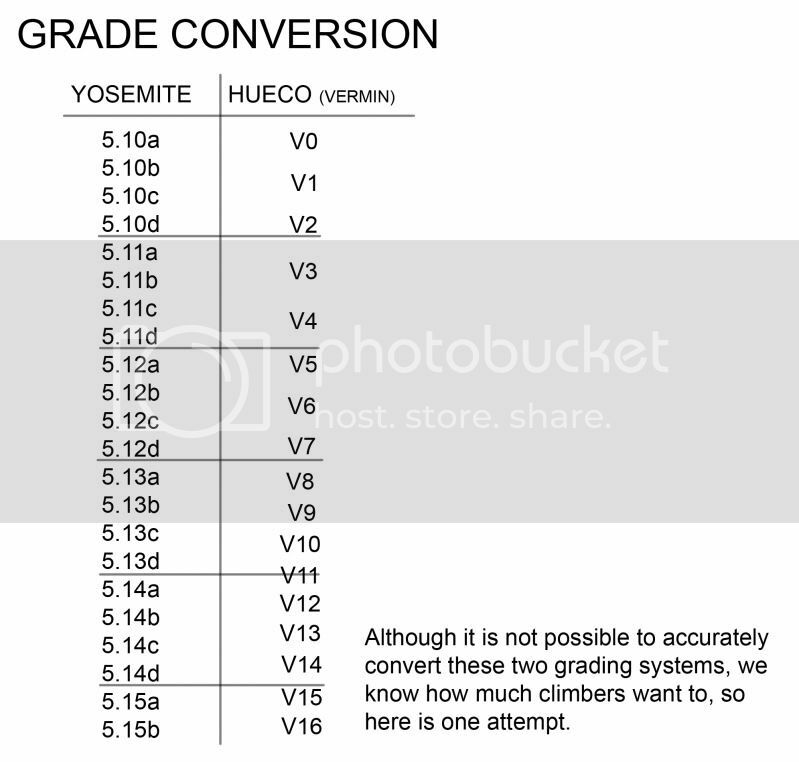 There are two basic carabiner types. Locking carabiners and non-locking carabiners. Both of these categories can be broken down even further. Locking carabiners have several styles of opening systems. There are twist locks, screw gates, and some unique locking mechanisms usually created by manufacturers. One example, Ball locks (made by Petzl) are designed to be more difficult to accidentally open, but they can be cumbersome if you are wearing gloves while trying to operate them in an alpine setting. Twist locks (like the Black Diamond Rocklock) are a common type of locking carabiner. To open most of these types of biner is grab the mechanism around the gate, twist, and pull back. On some types you pull down on the mechanism before twisting. Myth: they DO NOT automatically lock. For whatever reason, this style of gate has become the fabled "auto-locking" carabiner. Again, these devices DO NOT close and lock automatically. There is human interaction involved. An older piece of equipment or a loose article of clothing can stand between a properly locked twist lock biner and a fall from high atop a rock face. An easy fix to that, though, is to always double check that any device is properly closed and locked. The final and probably most common type of locking biner is the screw gate (like the Black Diamond Mini Pearbiner). True to its name and most simple in design, the screw gate opening mechanism literally screws open or closed for the gate operation. Non-locking carabiners have an unending variety of gates. They all have a specific purpose or advantage over one another. Carabiners with a solid bent gate (like Black Diamond's Positron Bent) are great for clipping rope into. These types of biners are usually used on the rope end of quickdraws to ease the clipping process. Solid straight gates (like Black Diamond's Positron Straight) are also used for the hanger side. Depending on the situation and material, solid gate carabiners do tend to be a touch bulky. Wire gates (like the Black Diamond Hoodwire or Oz) are a little lighter weight and have some different properties. Just as the name suggests, the gate is made from wire, thus it contains less material and is a little lighter in weight. Different shapes also exist. There are pear-shaped biners (also known as HMS) which are the ones most people use as they are designed for belaying. D-shaped carabiners tend to be stronger if all other factors are equal, and are better suited to building anchors. Oval biners are a slightly older design, and have the advantage of being symmetrical, which is important for out of the ordinary tasks like building a slackline. 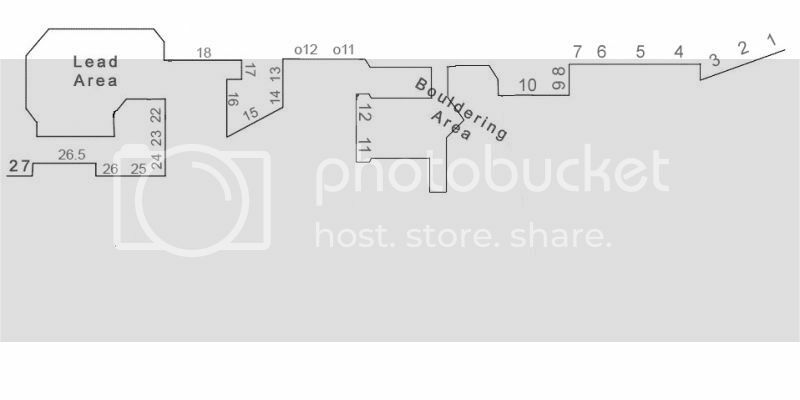 I could go on for days about all the nuances, but hopefully this laid out all the information you may need next time you find yourself staring helplessly at that wall of carabiners.